Twenty years of fighting the good fight. Sixty-five drafts of the manuscript to get the book to press. A publishing entity that didn’t exist a month ago. I’m delighted to say that my most ambitious dream is at long last reality: My first book, “Parkinson’s? You’re kidding me, right?” is now available in print and digital forms on www.amazon.com and soon on iTunes and Barnes and Noble. I’ve always loved writing. And you’ve always told me that my musings and posts on both www.livingwellwithparkinsonsdisease.com and www.pdplan4life.com left you wanting more. You asked for it. You’ve got it. And you’re a big part of the reason I was able to accomplish this Herculean feat. Don’t expect big helpings of gloom and doom between the pages of “Parkinson’s? You’re kidding me, right?” because you’ll be disappointed. Instead, you’ll find humorous adventures, coping strategies and sage advice about the practical aspects of living with Parkinson’s. Whether you are a newbie or an old-timer, a care partner, doctor, nurse, physical therapist or personal trainer, the information and advice you’ll find in this book is unique because it includes hope, humor and humility. It’s also an entertaining read that dares you not to laugh from time to time! And if you don’t love the unique pen and ink relationship illustrations, what’s wrong with you? What I hope you take away from my stories is that you are not alone on your journey with Parkinson’s. It’s neither a death sentence nor a reason to hold a pity party. Instead, you’ll be inspired to dream new dreams that that take into account the lifestyle adjustments required by our New Normal. You may even surprise yourself by surpassing your original expectations. I want to thank all of you for taking this journey with me. 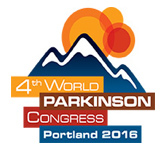 Without your encouragement and support, “Parkinson’s? You’re kidding me, right?” would be nothing more than a dream that was hoped for but never realized. And you helped me get here in any number of ways that you may not even be aware of. Thank you, from the bottom of my heart. Don’t be shy. I always appreciate your comments, so please post a review wherever you purchase my book and know that I wish you and yours a very healthy and happy New Year! Congrats Sheryl!!! Look forward to reading it. You’re amazing! Congregations Sheryl! Ordering the book right now. Amazing! Best seller for sure, and I know that it is written from the heart and it will touch many lives in a way no one else can but you Sheryl. I can’t wait to read it and I will bring it to you for signing. Big Hugs! Thank you, Claudia, for your kind words. Stop by for me to sign your copy any time. 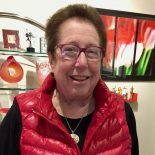 This entry was posted on January 5, 2018 by mydancingintherain in Advocacy, Coping Strategies, Exercise, Falling, Family Life, FDA, Friends, Grandparenting, Parkinson's Awareness, Parkinson's humor, Parkinson's symptoms, Personal Trzining, Physical Therapy, Sleep, Treatments, walking sticks.